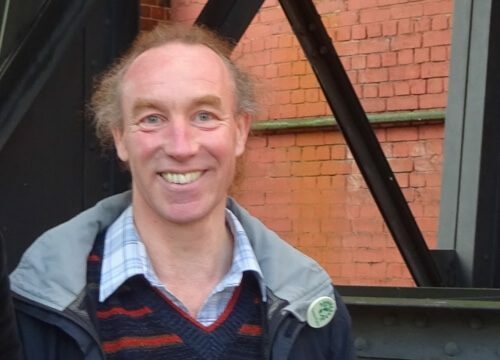 Green Councillor Douglas Johnson said he was “very pleased with the success” of the licensing application by the CADS. The decision of the Licensing Committee today (10/10/17) means the event nights run by CADS, the social enterprise, can now go ahead at their new venue at Eagle Works in Attercliffe. The Council had objected to the club holding events because it is near the Outokumpu rod mill which handles large volumes of dangerous chemicals. However, Cllr Johnson argued that the stainless steel manufacturing business was operating safely. I fully support CADS, a social enterprise, in its ventures. The organisation has brought many regeneration benefits through its business in bringing disused buildings back into productive and enjoyable use. I am pleased they have expanded from their initial base at Smithfield, Shalesmoor to Exchange St shops, Waverley House, the Abbeydale Picture House and the Eagle Works on Stevenson Road, Attercliffe, where they intend to hold temporary events. In supporting CADS, I want to recognise that Outokumpu confirms it manages its safety risks well: there have been no major incidents since the plant began these operations in the mid-1990’s. Whatever the theoretically possible risks, there is absolutely no evidence to suggest refusing this licence. Health and safety is an important issue that workers have fought for over many decades. But it is undermined by scare-mongering about unrealistic risks. I hope the committee will support a progressive and industrious Sheffield business by granting the licence.